Greece may take EU institutions to court to the country from leaving the eurozone. On Tuesday the Greek bailout expires and it is facing a possible default that could lead to an exit from the euro area. “We are taking advice and will certainly consider an injunction at the European Court of Justice. The EU treaties make no provision for a euro exit and we refuse to accept it. 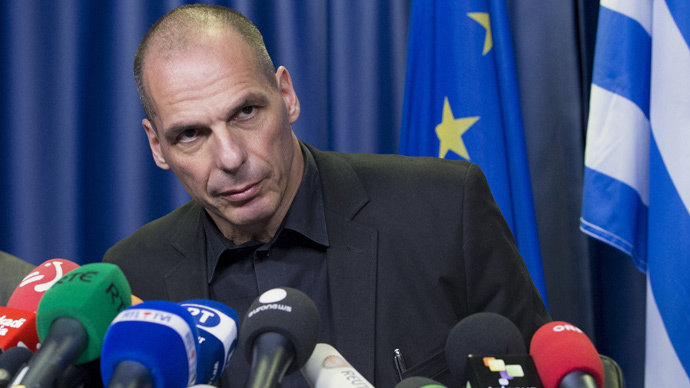 Our membership is not negotiable, “ Greek Finance Minister Yanis Varoufakis told The Telegraph on Monday. The Greek government came to power on promises to end the era of austerity, and has repeatedlysaid its goal is to stay within the euro. This could mean the country wants to have its €316 billion debt restructured or even cancelled. On Sunday, Greece is going to hold a yes/no national referendum on the creditors’ latest proposals. Many leading figures in Europe said on Monday that ‘No’ to the offer would technically mean ‘No’ to the eurozone. “The point is; a Greek referendum won’t be a derby of EU Commission vs. Tsipras, but euro vs. drachma. This is the choice,” Italian Prime Minister Matteo Renzi posted on Twitter. “What is at stake is whether or not Greeks want to stay in the eurozone or want to take the risk of leaving,” said French President Francois Hollande. Voting ‘No’ would mean voting against Europe, it would lead to a catastrophic aftermath, a Greek suicide, according to European Commission President Jean-Claude Juncker. “It must be crystal clear what is at stake. At the core, it is a yes or no to remaining in the eurozone,”said the chairman of the Social Democratic Party of Germany Sigmar Gabriel. IMF chief Christine Lagarde was even harsher. When speaking to the BBC on Saturday, she said the Greek government’s planned referendum would be on a program which would no longer be valid after expiring on June, 30. On Tuesday Greece must make a €1.6 billion for June to the IMF. If the bailout is not extended, the country will likely fail to pay and face the threat of default. The ECB has turned down the Greek call for expanding emergency liquidity assistance (ELA) by €6 billion to tackle deposit flight. As of last Tuesday, the ECB had provided Greek financial institutions with about €89 billion under the program. Banks in Greece are closed till the referendum and cash withdrawals are limited to €60 a day. About 1,000 bank branches will be open for three days to allow retirees without bank cards to make a maximum €120 withdrawal for the week.